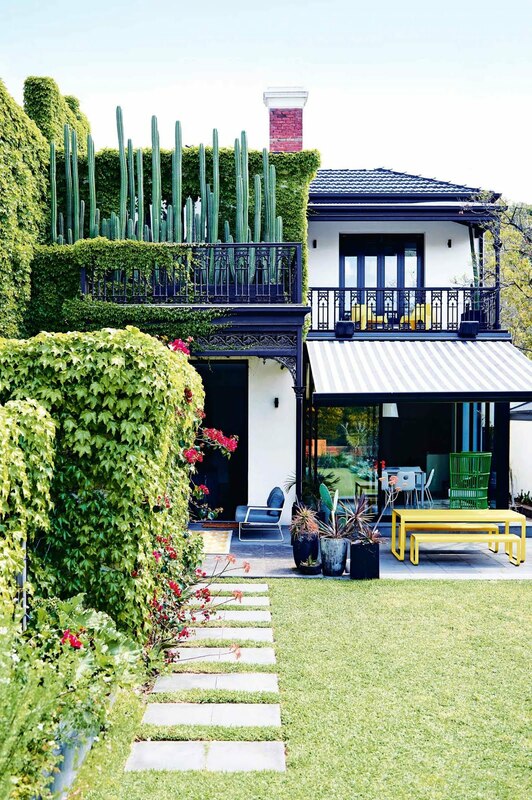 La Maison Jolie: House Envy: Mish Lilley's Glorious Colourful Abode! 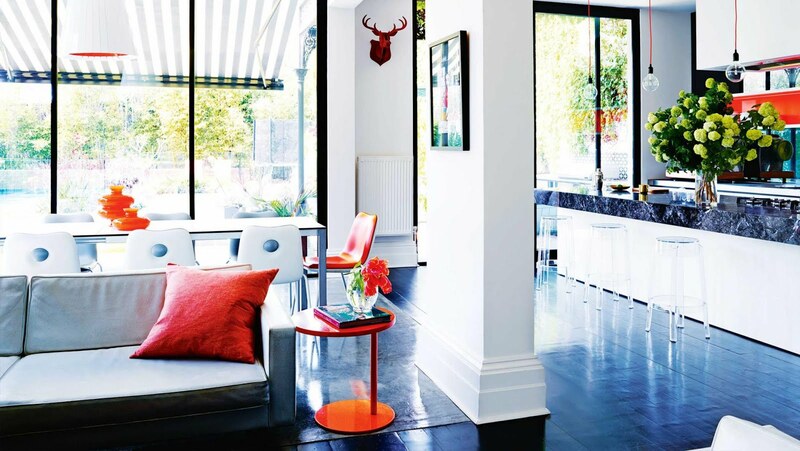 House Envy: Mish Lilley's Glorious Colourful Abode! 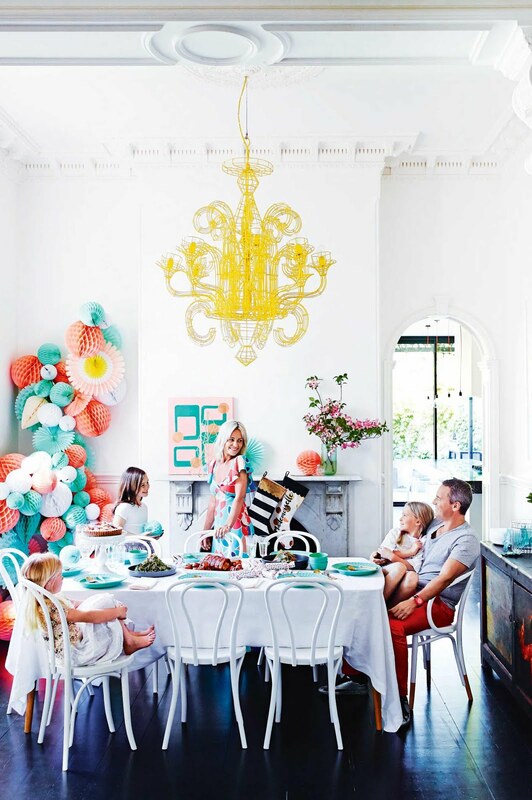 Home to professional cook and food stylist Mish Lilley of Mish Delish, her husband Ben and three beautiful girls, Ruby, Bo and Sunny, this airy four bedroom two storey Victorian era home is the epitome of fun with bright injections of colour and laid back style. 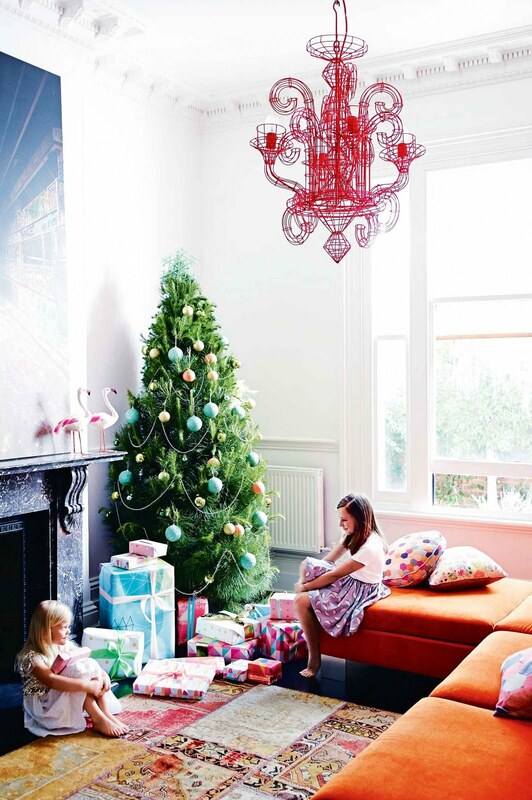 Their home has a vibrant colour palette and plenty of spaces for celebrating with family and entertaining friends. 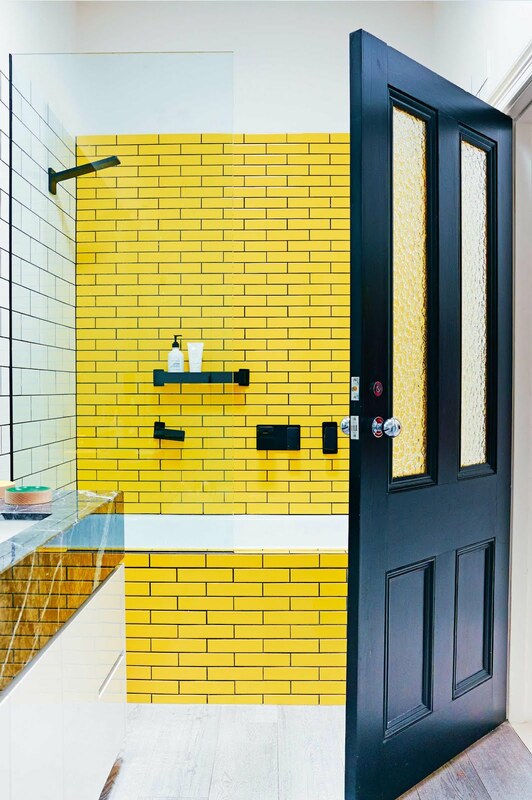 Bold features like that orange sofa, the sunny yellow bathroom subway tiles, black runner on the stairs and graphic wallpaper patterns certainly create enviable interiors, while street art dominates the walls and pops of orange and vintage furniture create a livable yet luxe space! 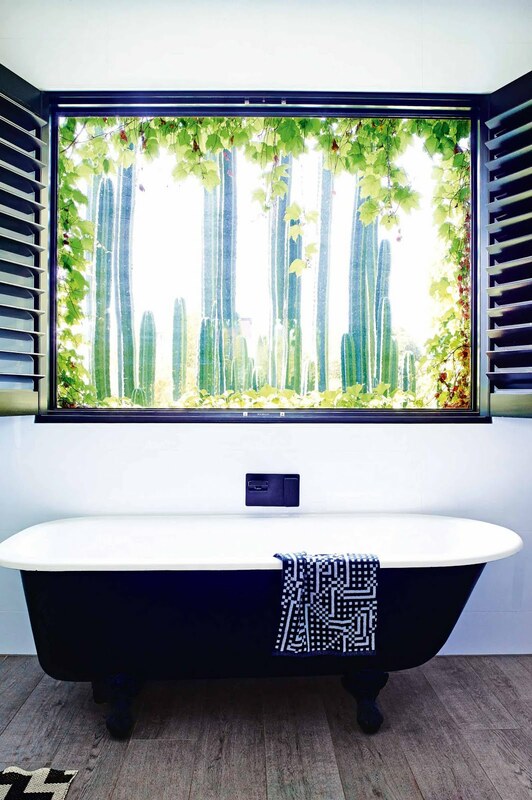 Take a tour of this glorious home and see for yourself if these unique interiors are making you green with envy! What an incredible home...I'm literally orange with envy! That moose head....so fun and playful! I want one! 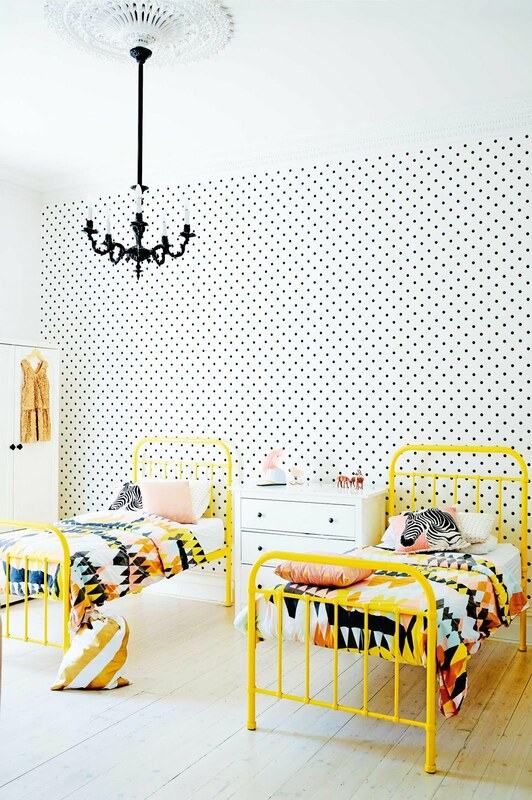 The bold and vibrant pops of colour is so on point without being OTT! And that kitchen ...SWOON!!! Just goes to show that there is no need to be afraid of colour! 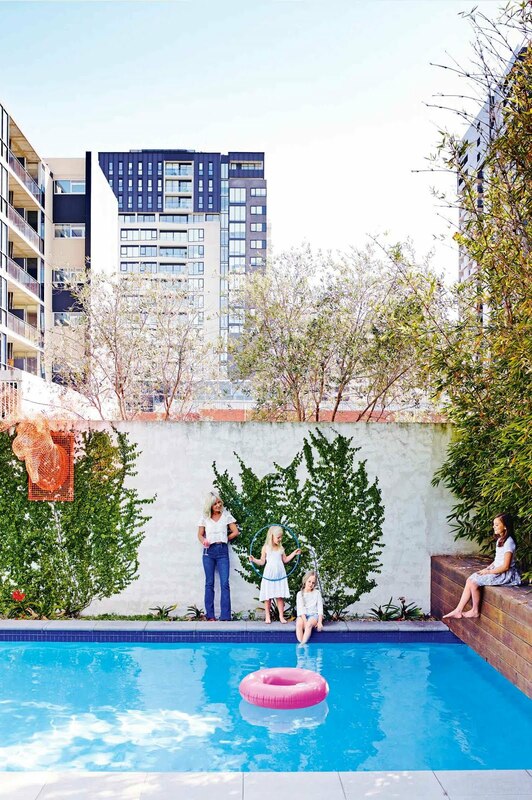 So do you have house envy too? 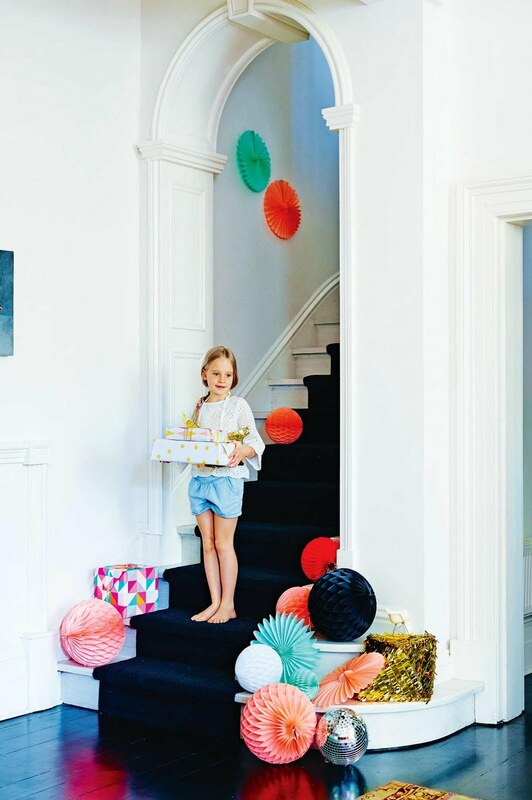 Till next time...inject a pop of colour into your home! P.S. Happy Valentine's Day people!